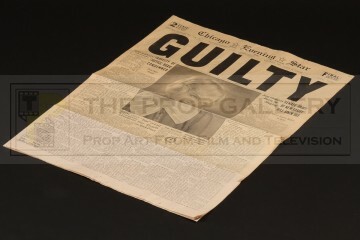 An original prop used in the production of Chicago, the 2002 musical crime picture starring Catherine Zeta-Jones and Renee Zellweger. 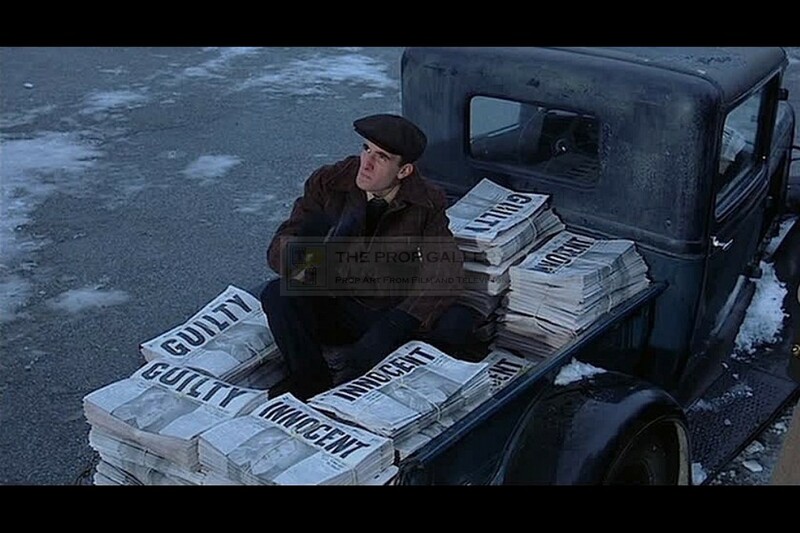 This newspaper was custom made by the production for the scenes where both innocent and guilty verdict newspapers can be seen on the back of the truck. 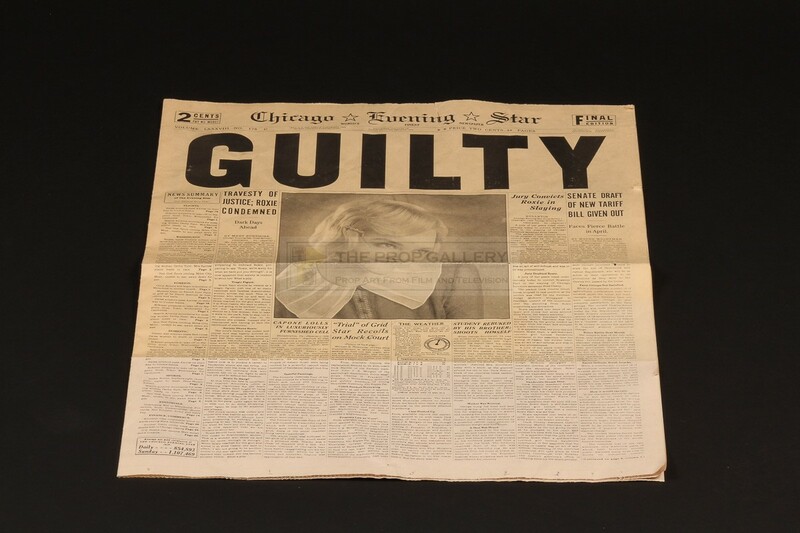 This Chicago Evening Star newspaper bears the simple headline 'GUILTY' in bold print with a large image of Renee Zellweger as Roxie Hart and a lengthy article covering the story which is surrounded by filler articles. 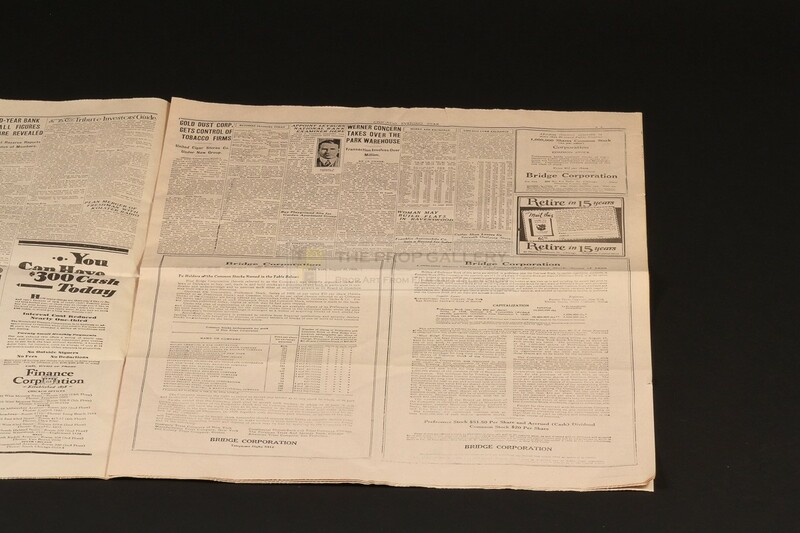 The interior of the paper consists of a further two pages spanning eight sides with random news and stock market information. 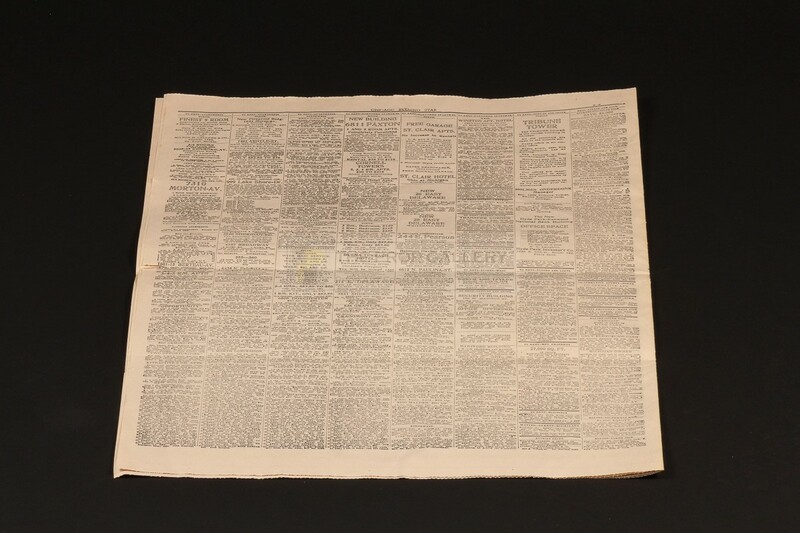 The broadsheet measures approximately 22.5" x 17" when closed and consists of a total of twelve sides, it remains in good folded condition with some discolouration to the cover page, light edge wear, toning and a 3" tear to the top with some age related wear to the fold line. 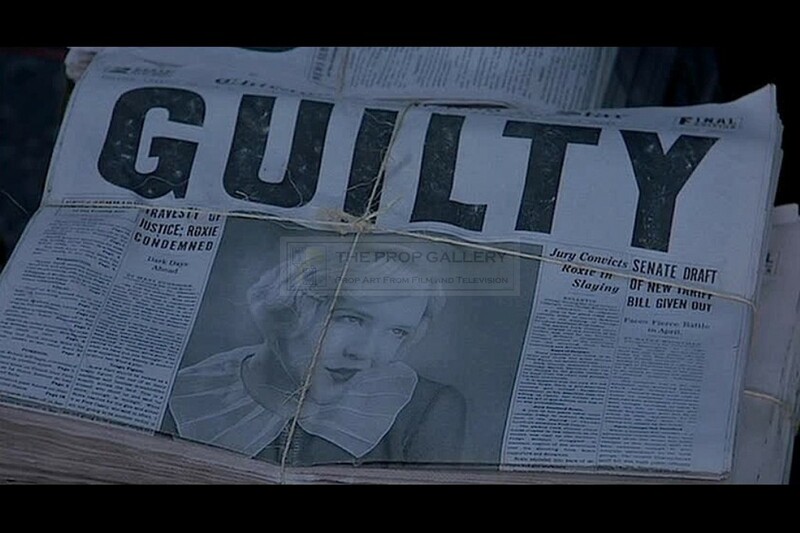 A recognisable and displayable artefact from this highly regarded Academy Award winning picture.